I finished reading To All The Boys I've Loved Before at the start of February and I flew through it. There are a lot of mixed reviews floating around about this book but I personally really enjoyed it! It’s a fluffy YA novel and if you can’t accept that then, of course, you won’t like it, but if you’re happy to settle down for a few hours and distract your mind with some cheesy romance then I’m sure you’ll enjoy it. Warning there are some tiny spoilers but nothing that will spoil the plot/storyline for you! 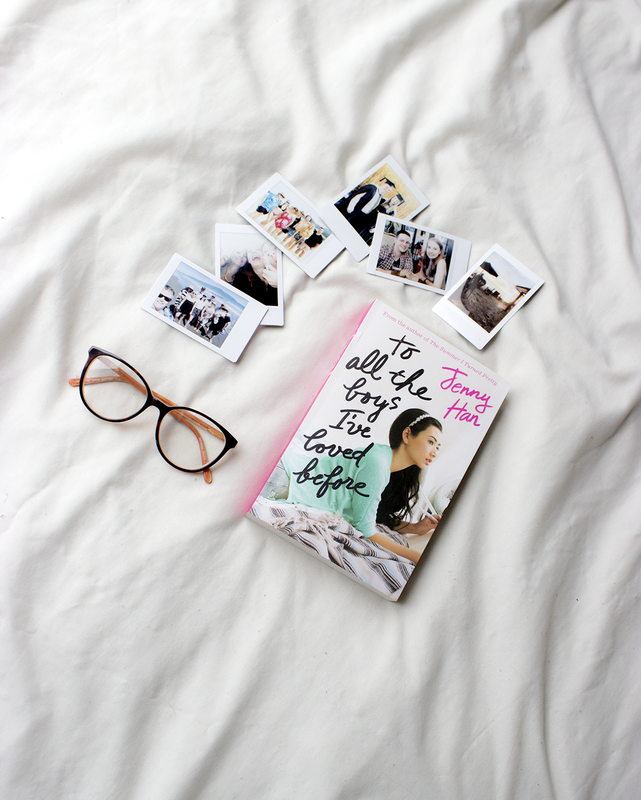 Lara Jean's love life goes from imaginary to out of control in this heartfelt novel from Jenny Han. What if all the crushes you ever had found out how you felt about them...all at once? Lara Jean Song keeps her love letters in a hatbox her mother gave her. They aren't love letters that anyone else wrote for her; these are ones she's written. One for every boy she's ever loved--five in all. When she writes, she pours out her heart and soul and says all the things she would never say in real life, because her letters are for her eyes only. Until the day her secret letters are mailed, and suddenly, Lara Jean's love life goes from imaginary to out of control. I really enjoyed how the characters were written and developed. Lara Jean was half Korean and her mother died when she was young, in other YA books either one of these would be the main part of her personality let alone both. The entire book would focus on how she developed from her mother dying being the reason for everything, to acceptance that her mother’s gone. “Oh yes I couldn’t complete that assignment as my mum died years and years ago” “Oh yes feel sorry for Lara Jean because she has no mum” BUT THIS ISNT LIKE THAT! Being half Korean raised by her dad adds to her personality but it doesn’t revolve around it. Not only that but being a quiet person, she wasn’t written as boring and ordinary like most quiet people are usually. Nor does she suddenly come out of her shell and become this super extrovert character. I mean I could go on for a fair while about all the things about her personality that was so much better than usual fluffy YA’s but I’ll stop here. I really enjoyed it, and how it wasn't just like your regular love story I mean it sort of was but it also wasn't. Her older sister, Margo, I didn't like. Seriously she was way too controlling, I know she was written as a mother figure but I just wanted to punch her a lot of the time. The same with her boyfriend/sometimes ex-boyfriend Josh. I could not stand the way he handled the whole letter situation and basically shoved himself onto Lara Jean because he apparently wanted her all along. THEN WHY DIDN'T YOU ASK HER OUT AND NOT HER SISTER! Argh, those two belong together the idiots. Anyway, I said I liked this book right? The demon couple aside, it was just a good easy read YA. I can't really say much more about it other than it's fluffy and will make you cry and the ending makes you want to read more as it's kinda an average ending. But hey there are two more books in the series so let's read them too!